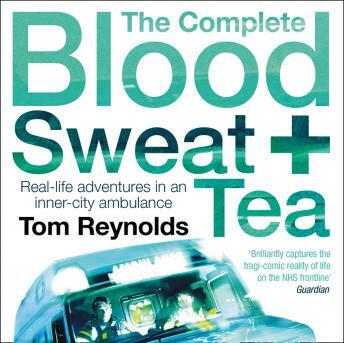 A beautifully written insight into the stresses, strains and successes of working for the London Ambulance service. Is there anyone who hasn't wondered about the state of the occupant of an ambulance, screaming along with its sirens on and blue lights flashing? Have you? And have you wondered about the other people inside the ambulance, maybe fighting to save the patient's life? Or have you considered that the ambulance may be another 'maternataxi' ordered by a woman who can't be bothered to book a real cab and who then complains she can't smoke on the way to hospital? And that the medical technician inside might just be desperate to get back home from a busy shift, to have a cup of tea and catch up with his blog? Meet Tom Reynolds. Tom is an Emergency Medical Technician who works for the London Ambulance Service in East London. He has kept a blog of his daily working life since 2003 and his award-winning writing is, by turn, moving, cynical, funny, heart-rending and compassionate. It is never less than compelling. From the tragic to the hilarious, from the heartwarming to the terrifying, the stories Tom tells give a fascinating - and at times alarming - picture of life in inner-city Britain, and the people who are paid to mop up after it.